Yesterday at 10/1/2014, after 60 days on hunger strie, the judicial council of Thessaloniki adopted the much needed decision concerning my fate in an implied criminal involvement. The result has not been announced to me, until the official publication of the οrdinance. Given that the final decision regarding my case has already been made, I deny to participate in their bureaucratic game or use my health condition according to predifined conditions, I, therefore, decide to put an end to the hunger strike that I started on the 11-11-2013. The hunger strike is not a symbolic game of impressions, but a real struggle that depends on minutes or even seconds. 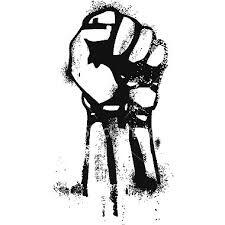 It is a struggle against all those set to judge our lives; a struggle always supported by the resistance movement. I deny to discredit this harsh means of struggle or to diminish the unquestionable value of the strike, by playing hide-and-seek with the judicial authority until the final publication of their decision. However, political expediencies and opportunism as well as the constant wish of the authorities to appear resolute against all pressure, seem to underpin the authorities’ contentment with my complete physical and mental exhaustion due to their long delays and the constant anticipation. I will not do them this favour, nor do I wish to become a martyr, awaiting the issue of a final decision that has already been made. The same I would not allow to happen to any of my comrades if they were in my position. I send my militant greetings to those who stood by me in order to achieve what we have achived until this day. Their support kept me going up to now. I will publish the decision’s result as soon as I am notified and I will issue a more comprehensive statement for both the hunger strike and its process and my decision to stop it. The passion for freedom is stronger than the prison cells!